Musee Gustav Moureau in Paris is as he left it in 1898. 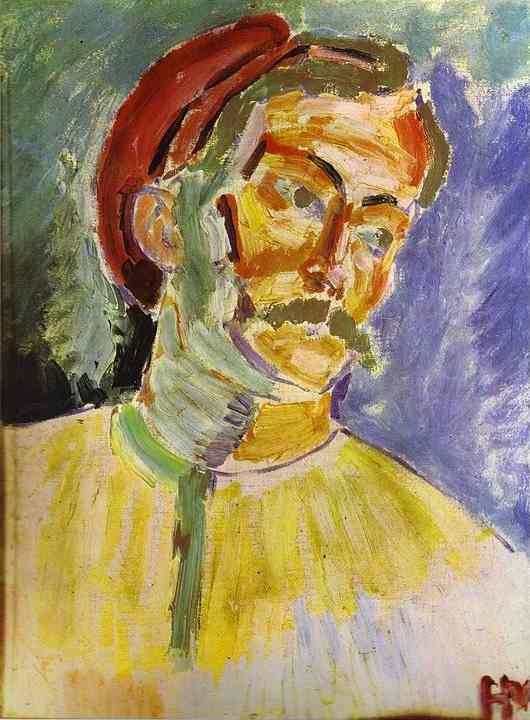 He was a teacher and taught Matisse (who is the main figure of Fauvism ). Some of his work looks like the paint was squeezed directly from the tube , i.e. he was on experimental artist. Thought of himself as a conventional artist and member of the Academy. He suggested his students go to the Louvre and copy old masters. 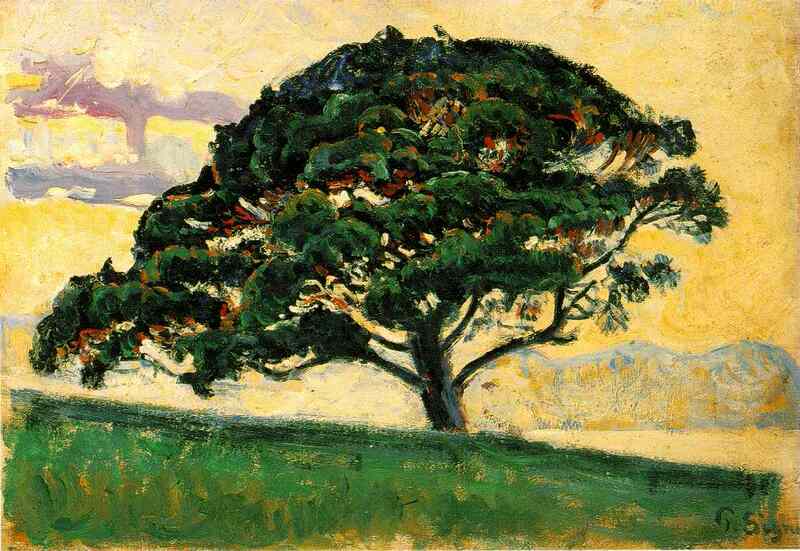 Slide 3 M atisse Andre Derain 1905. Salon de Refuse , Salon de Independents , Salon d’Automne. 1903 by Matisse and his friends. A gesture of succession Vaucelles — Donnatello chez les fauvres does it mean ‘among’or ‘at home ‘. Also Cezanne is seen as on precursor to the Fauvists , leaves canvases showing through. Died 1906 , mayor retrospective in 1907. 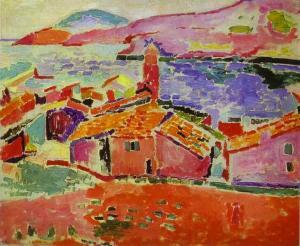 Fauvism 1904-1907 Caused a stir , seemed very radical. 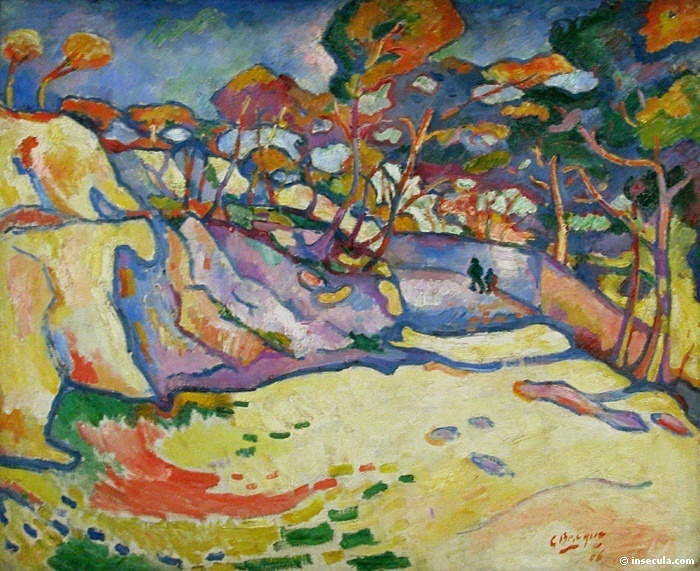 Braque was involved with fauvism. Slide 9 was big star of 1905 Salon des Independents. The drawing in the painting caused a stir. Matisse was 17 years older than Darain. Madame Matisse is in painting. It was done on holiday in San Tropez. Title is a poem by Baudelaire – he can be positioned adjacent to Symbolism. Van Gogh colour symbolism – yellow is symbol of friendship , blue infinity. But there is no coherent symbolic meaning in Fauvism. It is more to do with playing with colour. Slide 12. Both go to van Gogh ‘s exhibition in 1901 — Derain introduces Vlamick to Matisse. Carriere. Matisse notices Derain and Vlaminck are working in the same my he is. It is about painting itself rather than the subject. You often see the paint and the subject at the same time, e.g. the trousers in slide 10. Slides 13 and 14 should be compared. Signac is also a pointillist. Had a house in San Tropez. 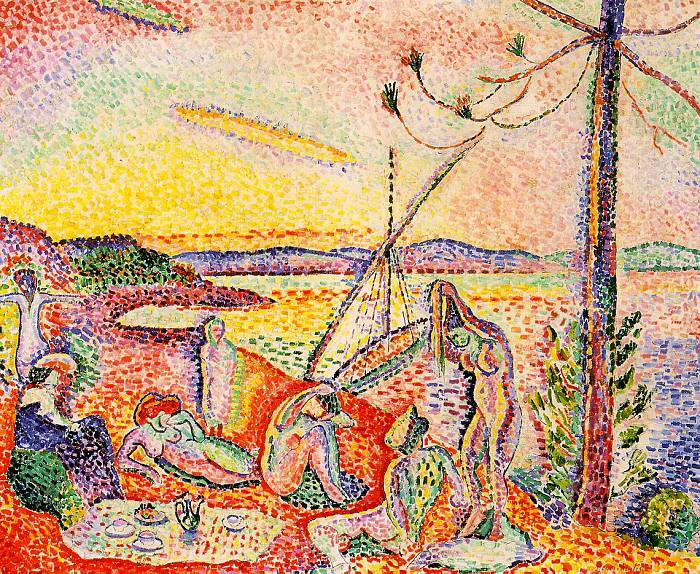 Signac bought Slide 9 from Matisse. Letting canvas show through in Matisse opens the painting and the canvas carries the meaning of light. Autumn 1905 show their work at the salons d’ Automne. Vlamick and Derain were close and wanted to distance themselves from Matisse. They were very anti – academy and anti – tradition and wanted to develop a new fiery style. The area in which he painted was a working class area near Paris and he contributed to Anarchist journals. 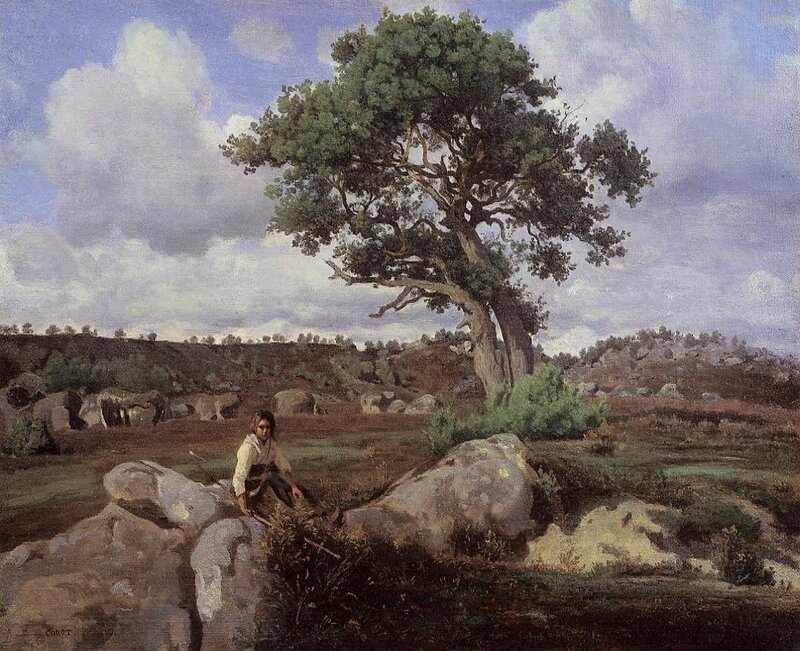 Note Courbet ‘s depiction of working class people wa seen as a political statement. Fauvists only presented themselves twice in 1905 and 1906. Matisse was taken up by the Stein family and Deain and Vlamink by the dealer that also represented Picasso. See slides 16 and 17 Century haring Cross bridge. 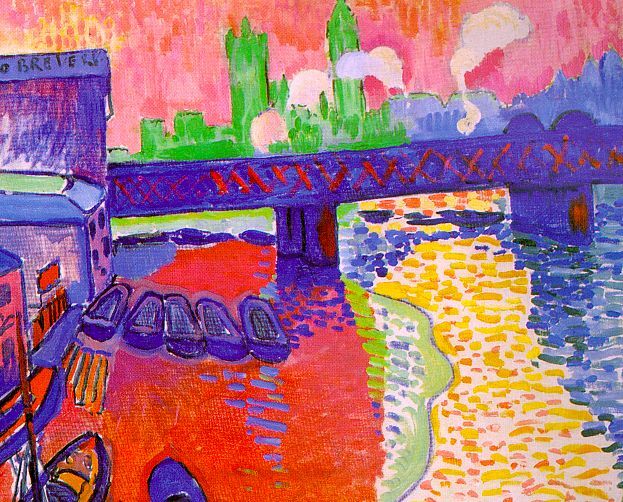 Derain was encouraged by his dealer to go to London to paint a version of Charing Cross bridge that Monet had painted earlier. Monet is trying to create a particular impression but Derain is fiery and wild but both images are realistic. All pioneering artists have the the problem of preserving continuity but making a radical break. Derain and Vlaminck become more conservative almost as if they have no more use for the style. But Matisse maintains the style all his life. Utopian arcadian landscape characterises the work of Matisse. Ingres and Delacroix paint classical images. There is an attempt to went create a link from classicism through to Impressionism. Classicism involves harmony and balance, a realistic interpretation of human form, also rationalism , humanism. The outsiders – Manet , Monet , Matisse are assimilated into the mainstream. 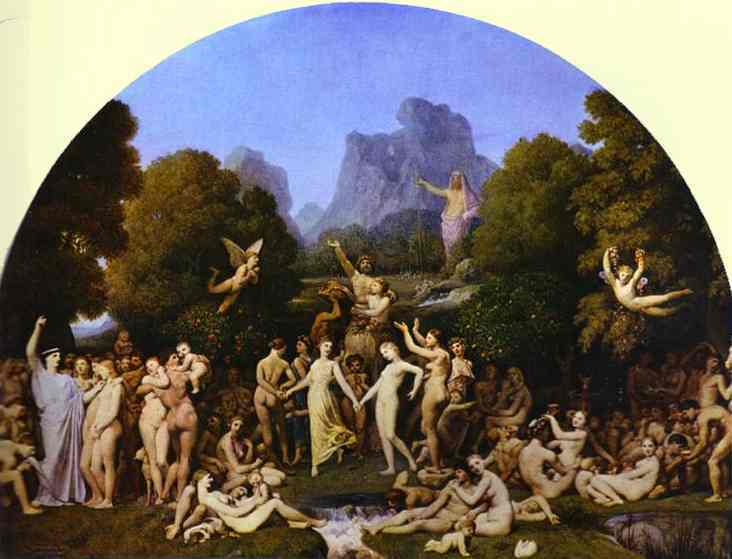 Ingres The Golden Age 1862. Matisse slide 21 are harmonious I want my paintings to be like a comfortable armchair. This view of Matisse was opposed to the aims of Derain. Vauxcelles statement could be interpreted to mean the Fauvists were outside the classical tradition or inside. His other writings were quite supportive of Fauvism. See Poussin and Corot (seen as an old master working in the classical tradition ). Braque ‘s early work is in the Fauvist style but for him it was an experiment that he moved on from. 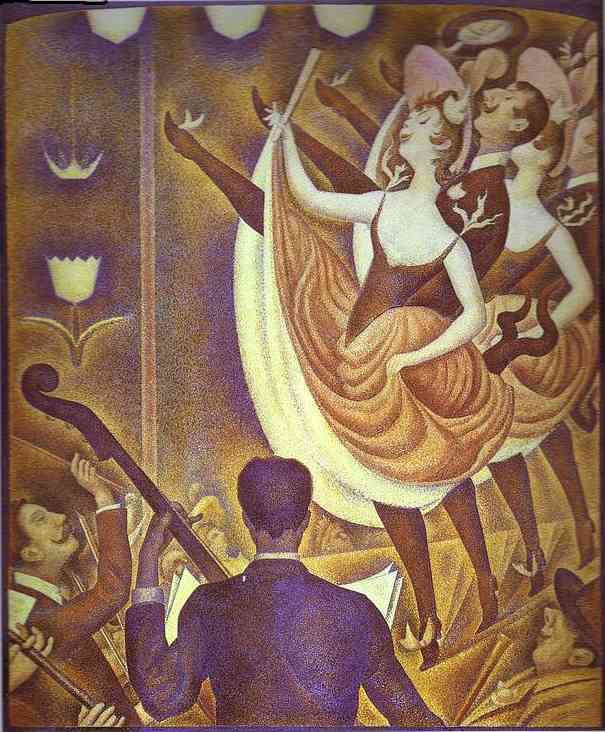 The Dance by Derain 1906 is a traditional theme. Gaugin type setting. Rawness and immediacy of the application of paint but the brushstroke gestures have gone and he is using much move carefully applied paint and flat colour. Much has been written about this painting. They all discovered oriental pictures at the same time. They exaggerate certain aspects, e.g. the head. 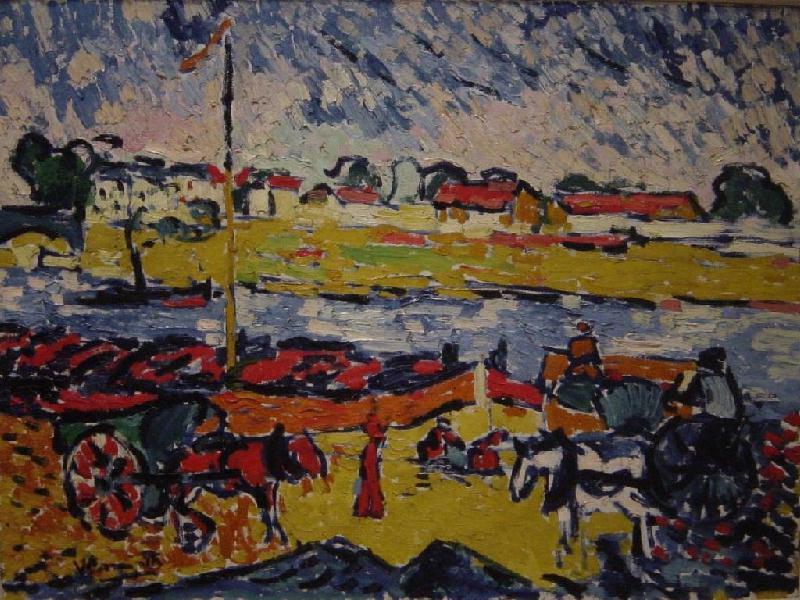 Tribal artefacts drew artists in – Vlaminck saw himself as a modern primitive – notorious lier – says he invented Fauvism and discovered Tribal art. 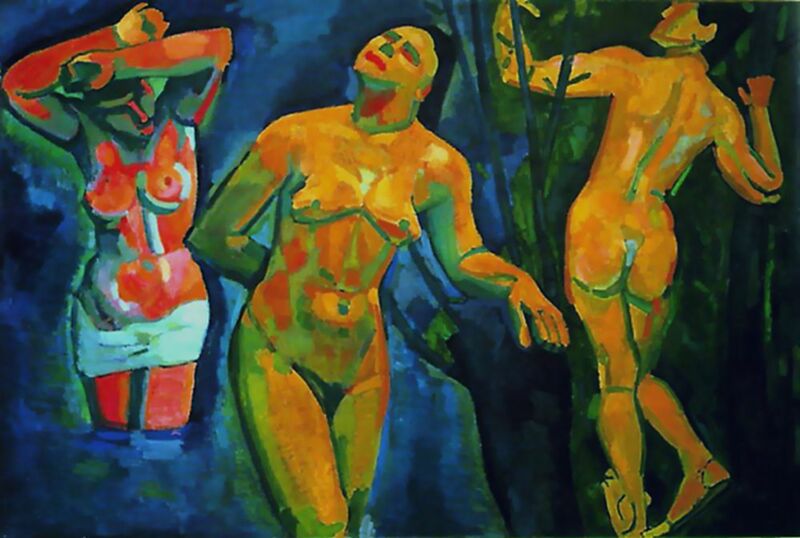 Derain Bathers is experimental – three attempts to show the human form. One of the few paintings from this year of 1907 that he didn ‘t burn. See Montrose self – portrait. Same go to a geometric style – see Braque House at L’ Estaque – others went in the direction of expressionism Meidner — covered in more detail next week. 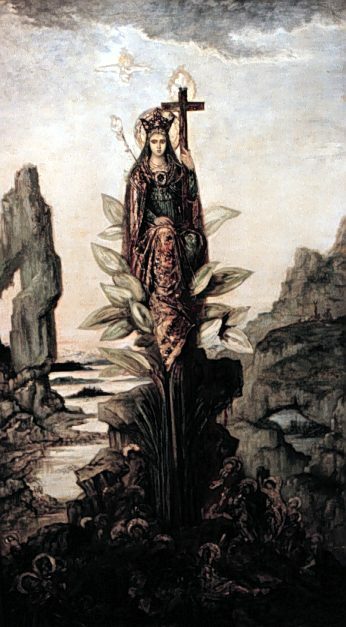 Slide 1: Gustave Moreau, Mystic Flower (c.1875). 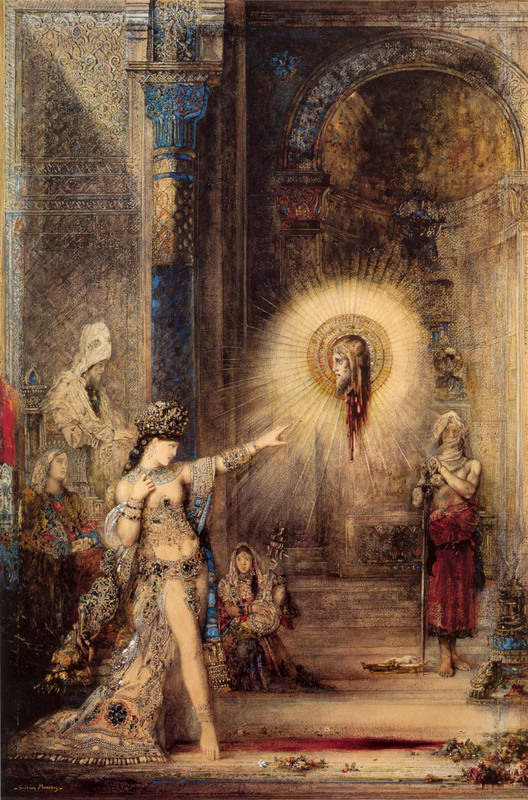 Slide 2: Gustave Moreau, The Apparition (1874-6). 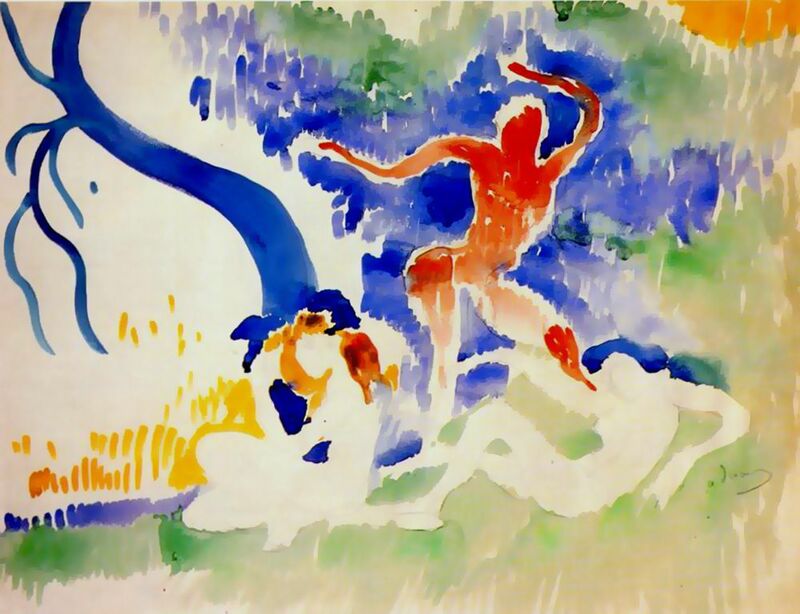 Slide 3: Henri Matisse, Andr� Derain (1905). 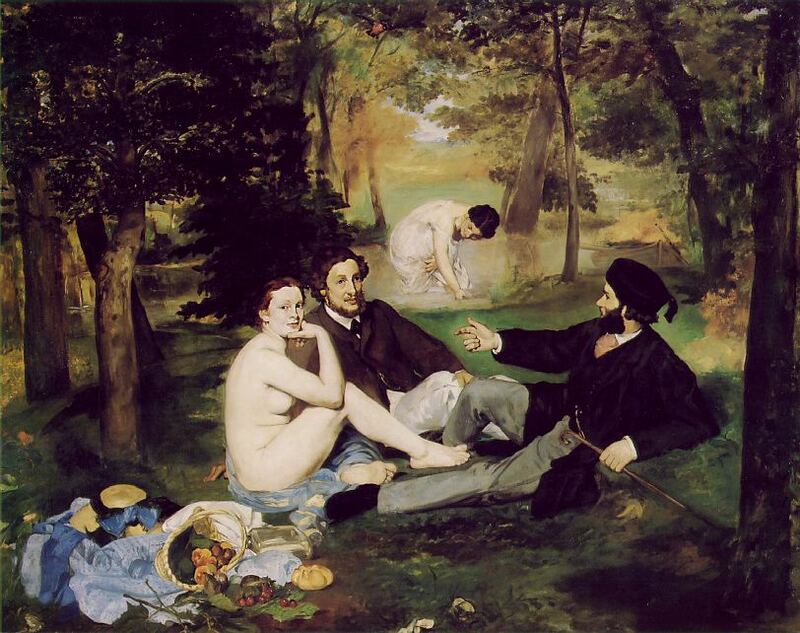 Slide 4: Edouard Manet, Le Dejeuner sur l’herbe (1863). 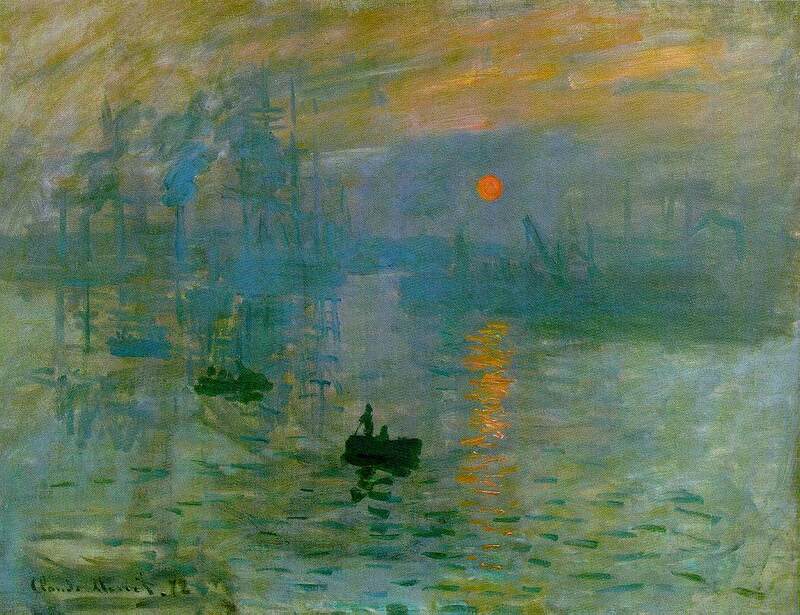 Slide 5: Claude Monet, Impression: Sunrise (1872). 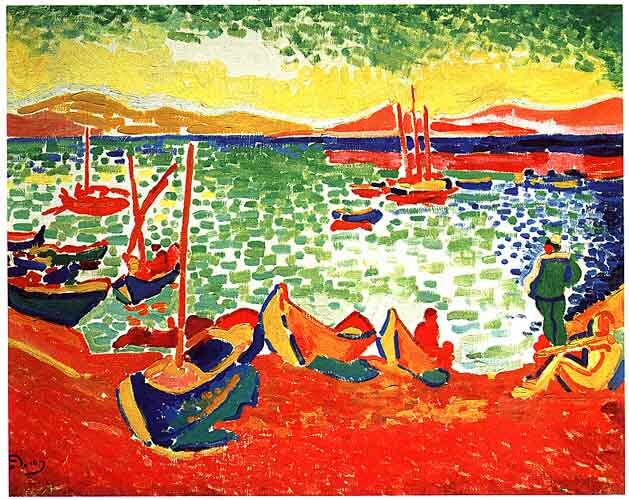 Slide 6: Andr� Derain, Boats (1905). Slide 7: Georges Seurat, Le Chahut (1890). 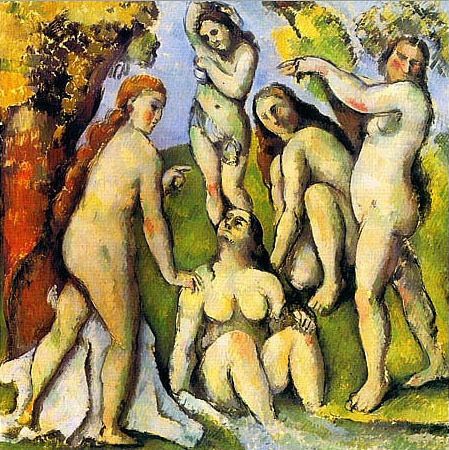 Slide 8: Paul Cezanne, Five Bathers (1885-7). Slide 9: Henri Matisse, Luxe, calme et volupt� (1904-05). 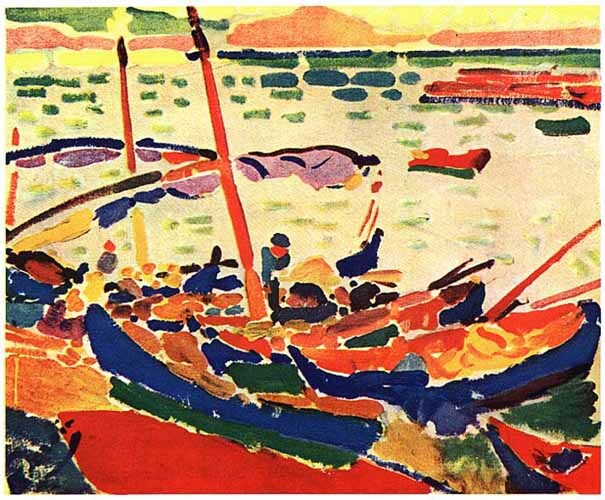 Slide 10: Andr� Derain, Fishermen at Collioure (1905). 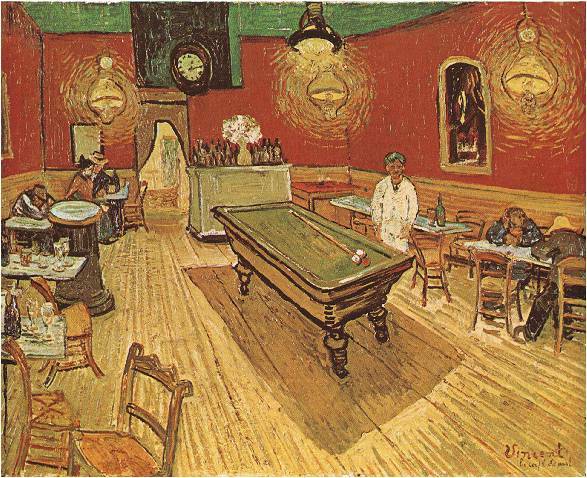 Slide 11: Vincent van Gogh, Night Cafe'(1888). 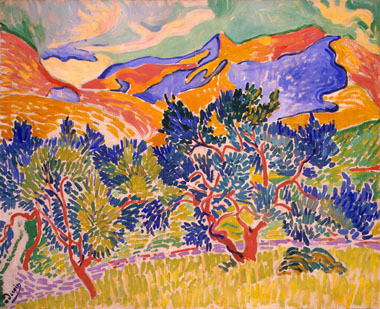 Slide 12: Andr� Derain, The Mountains, Collioure (1904). Slide 13: Henri Matisse, View of St. Trope (1904). Slide 14: Paul Signac, St. Tropez Pinewood (1896). Slide 15: Maurice Vlaminck, The Bridge at Chatou (1905). Slide 16: Andr� Detain, Charing Cross Bridge (1905-06). 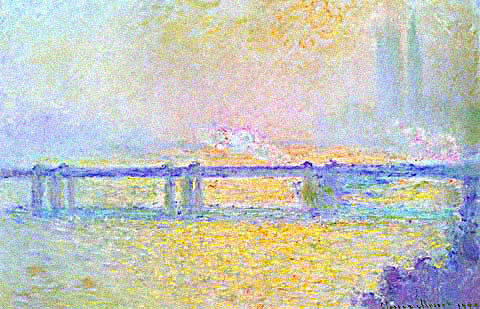 Slide 17: Claude Monet, Charing Cross Bridge (Overcast Day) (1900). 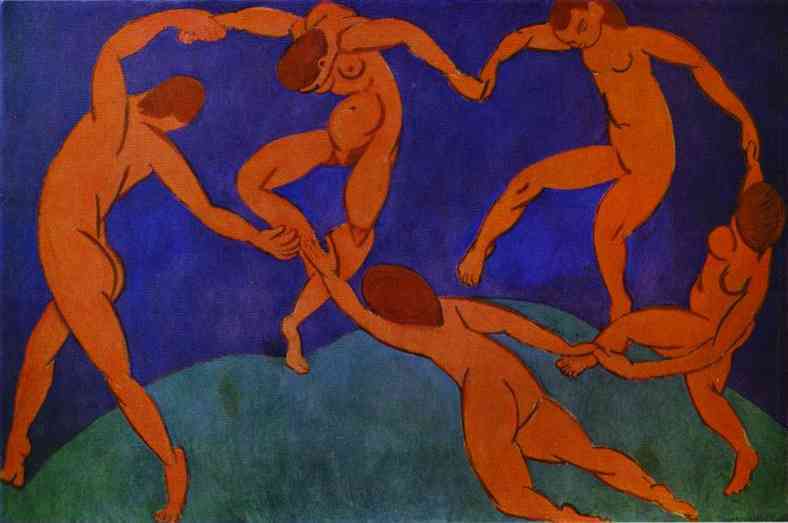 Slide 18: Henri Matisse, The Dance (1909-10). Slide 19: Jean-Auguste-Dominique Ingres, Bather (1826). Slide 20: Jean-Auguste-Dominique Ingres, The Golden Age (1862). 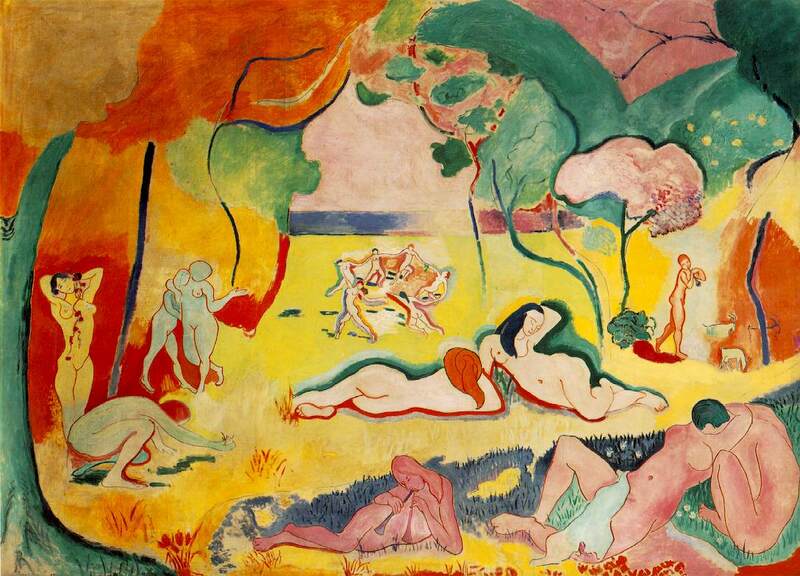 Slide 21: Henri Matisse, Bonheur de vivre (1905-06). 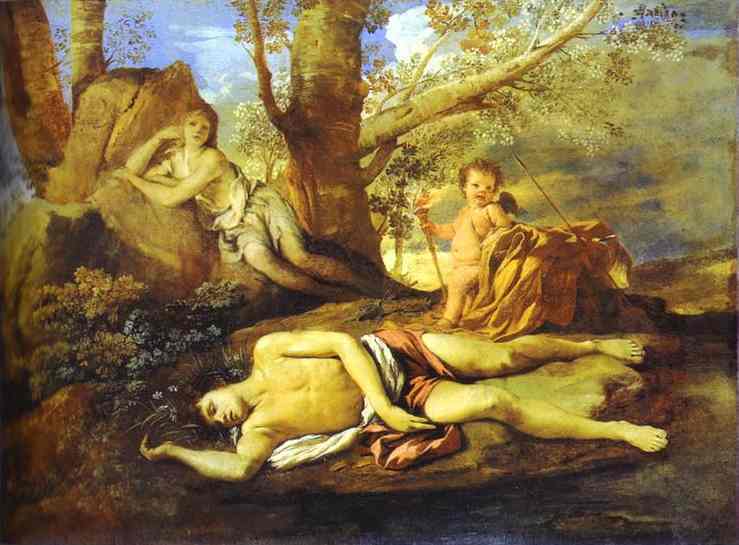 Slide 22: Nicolas Poussin, Echo and Narcissus (c. 1629-30). Slide 23: Jean-Baptiste Camille Corot, Forest of Fontainbleau (c. 1830). 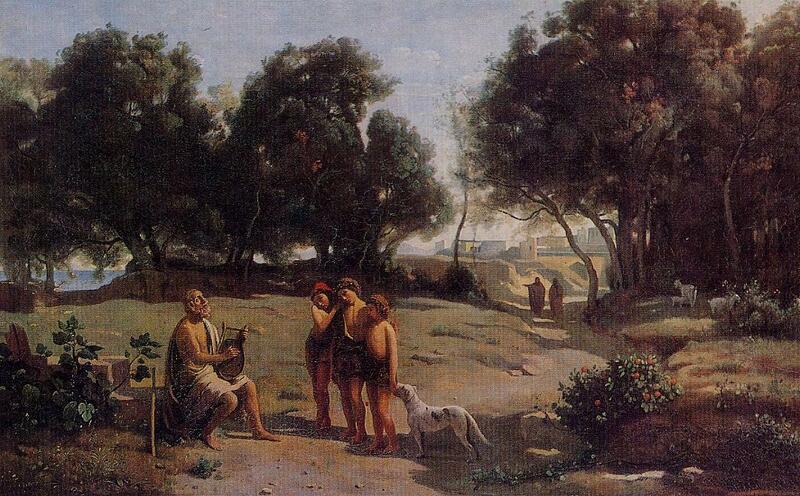 Slide 24: Jean-Baptiste Camille Corot, Homer and the Shepherds (1845). Slide 25: Georges Braque, L’Estaque, The Harbour (1906). Slide 26: Andr� Detain, The Dance (1906). Slide 27: Andr� Detain, Bathers (1907). 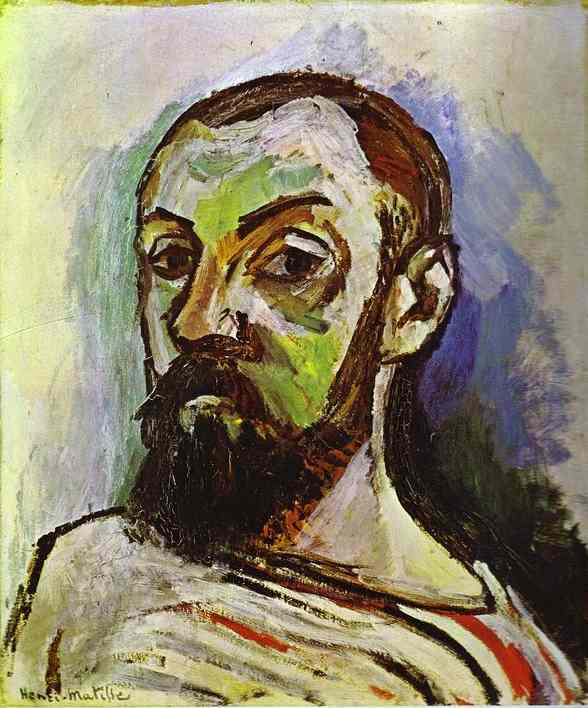 Slide 28: Henri Matisse, Self-Portrait (1906). Slide 29: Georges Braque, Houses at L’Estaque (1907). 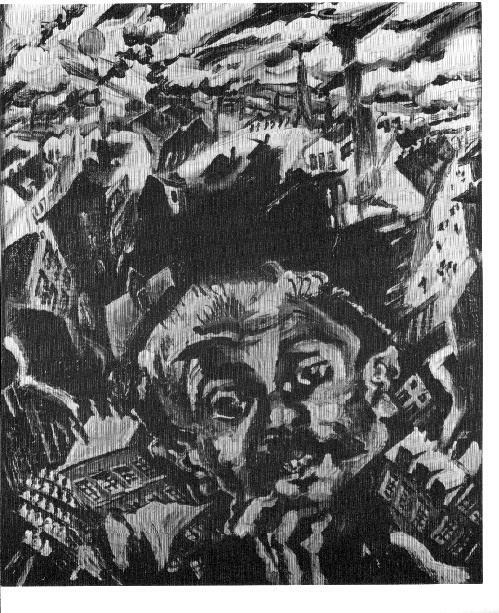 Slide 30: Ludwig Meidner, I and the City (1913).